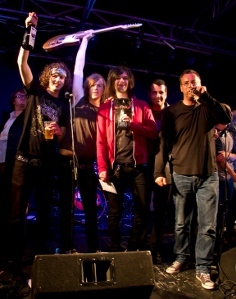 Battle of the Bands 2012 - The Final. Badland Bandits are victorious. Wow! An amazing Party in the Park and what a stroke of luck with the weather, the dramatic thunder and lightning in the distance certainly added to the atmosphere without bombarding us with it's contents. 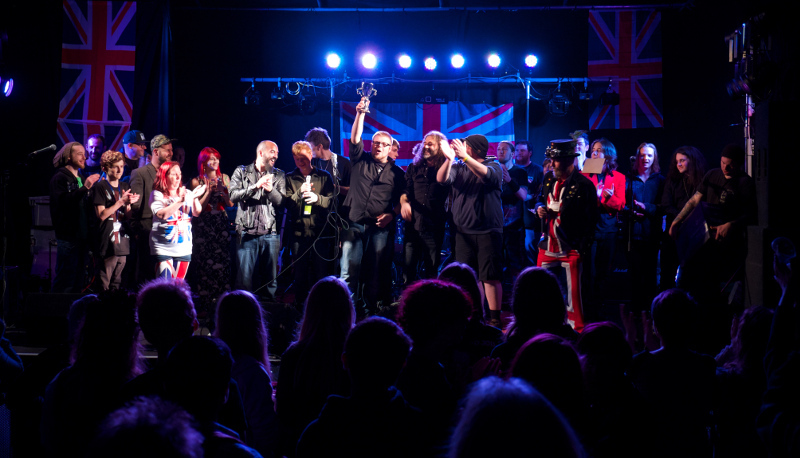 4 Bands battled it out for the top spot to a fantastic, energetic crowd. All the bands put on a great show for us, working really hard to impress and give us something different to their heat performances, and the judges scoring was very tight with a only a few points between it. 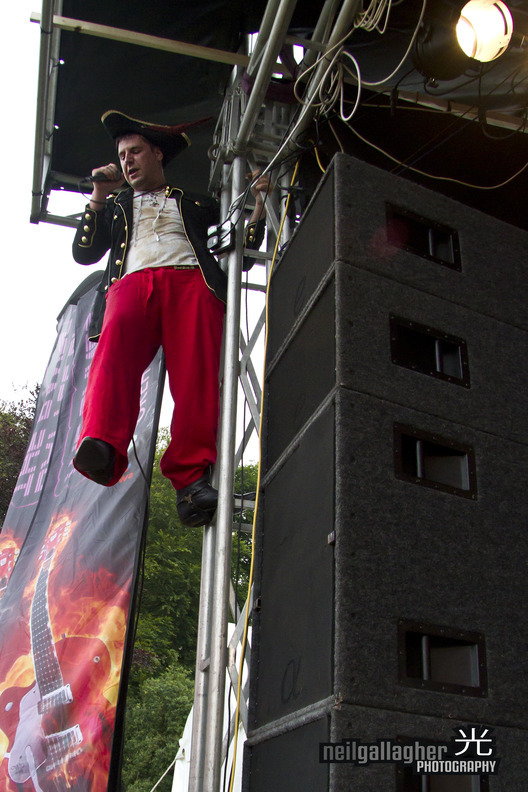 In between bands the audience was entertained by musician, comedian and all round loose cannon Tony King who brought his unique sense of fun and humour to the Park. 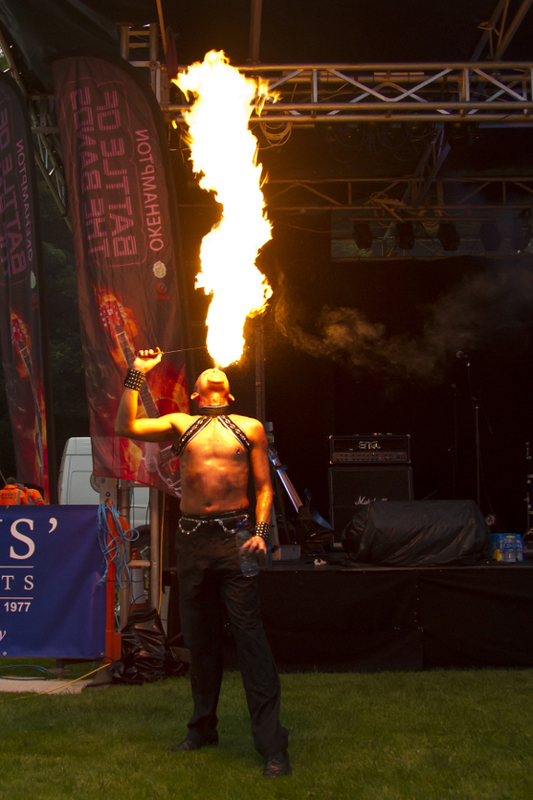 Also Firestarter performed his fire eating act which complemented the moodiness of the skyline, especially as light started to fade. So, the first band on stage were punk pirates, Pirate Copy. 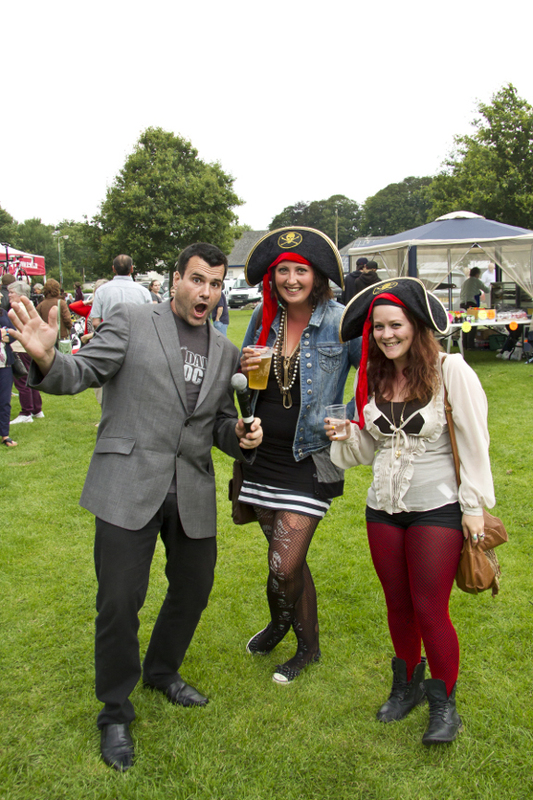 They came armed with a treasure chest of chocolate coins, paper pirate hats for the crowd and bucket loads of swashbucklin' charisma. 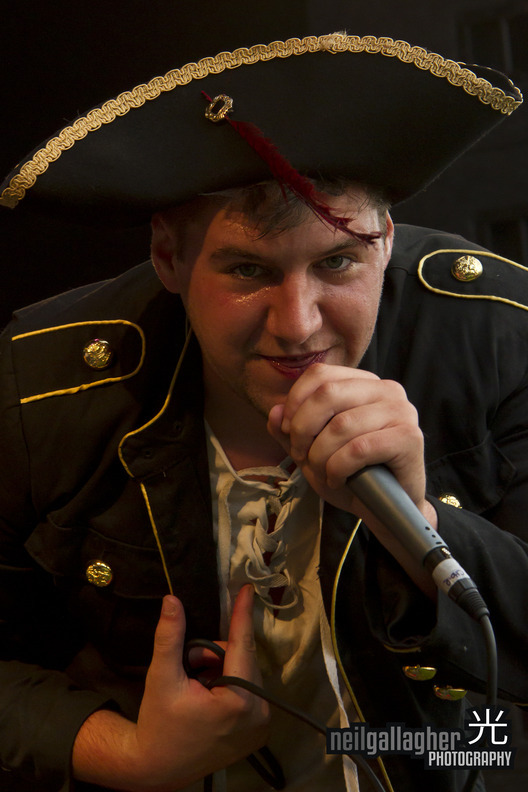 These guys were just all round fun, delivering their punk'ed up sea shanties with plenty of yo ho ho and a great way to start the show. 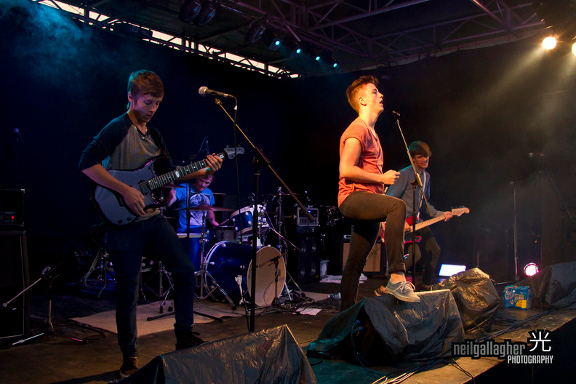 Next up were Torquay based Dirty Dusk. This was the second show of the day for this indie influenced hard working group of youngsters. Musically so different from the first band, polished and precise with the great indie guitar sound that takes some of us back to the "madchester scene". With the crowd growing and nicely warmed up The Aurora Skies literally bounced onto the stage. 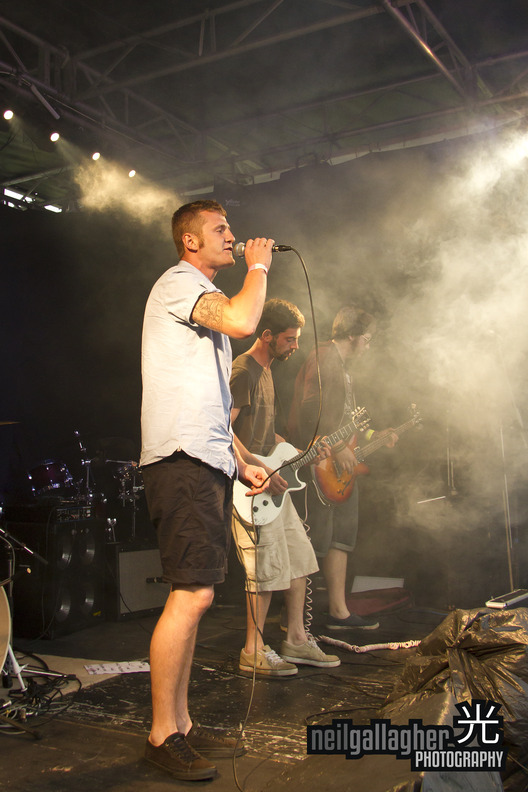 Having played BotB in 2010 they returned with a heavier rock/indie hybrid sound bringing along with them a great crowd from their Dawlish base. These youngsters definitely have a very bright future and are another really hard working band and put on a very polished performance. 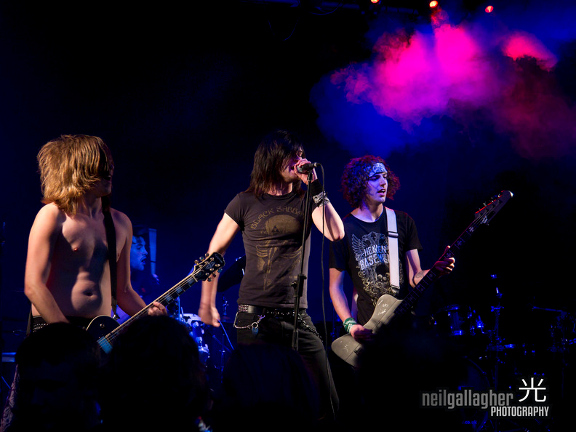 The years final band was the BotB 2012 sleaze rock bad boys, Plymouth based Badland Bandits. Take a slug of Guns and Roses from the "Appetite heyday", throw in a decent measure of "Motley Crew", add a liberal sprinkling of Jack Daniels and then throw in a fantastic vocal range, top showmanship and a set that was tighter than a snare drum and this was just a fantastic way to finish the BotB 2012 competition. 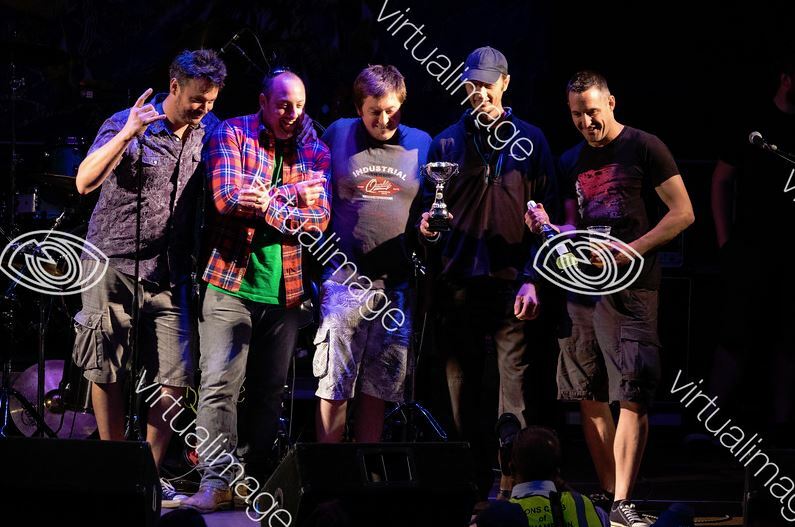 Taking the win for this years Battle of the Bands and walking away with the prestigious Battle of the Bands trophy, donated by Jackie at Pearsalls the Jewellers, were Badland Bandits who also won an EP recording package from Alive Music, a custom guitar from Earthwork Guitars and a stage backdrop from SWH Signs. But as this is Okehampton Battle of the Bands, everyone gets something. The Aurora Skies won billing at Chagstock 2013 and vocal coaching from WREN music, Dirty Dusk won stage time courtesy of Rock Chicken and Pirate Copy won vouchers from Project Music. 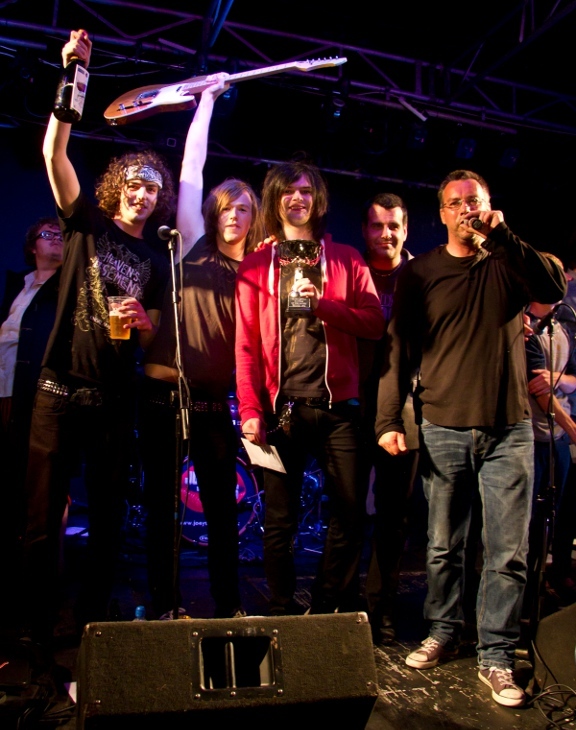 Plus all the bands also walked off with micro amps and books kindly donated by Orange and Marshall. 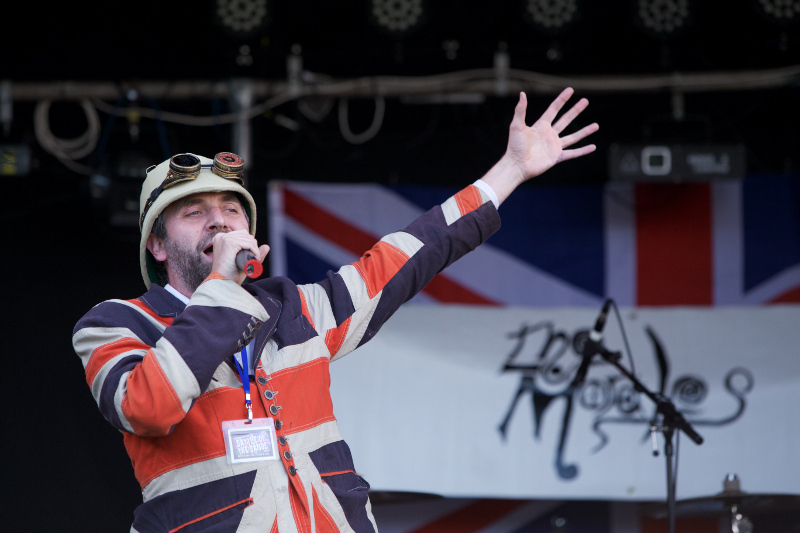 That wasn't the end of the prizes though as local business Herbs and Spices had also donated a £100 cash prize, one for the "Performer" of the night which was won by the vocalist from Pirate Copy (mainly for his stage climbing skills I reckon!) and D&S Supplies, at Winkleigh, donated a £100 cash prize for "Musician" of the night, which was won by the guitarist in The Aurora Skies. So if all that fantastic music wasn't enough we then had one of the best party bands around, Joey the Lips, close the night. Proving that they really are the nations funkiest band, Joey the Lips were a real crowd pleaser and really created the big community party effect with over a thousand people all dancing, singing and cheering. This fantastic event celebrates everything that is good about the town, local people organising the event, local businesses and organisations supporting it and local people making it the family community event of the year. We'd like to Steven's Estate Agents, Herbs n Spices, the Plymouth Inn and Okehampton United Charities, the main sponsors for this year and also all of the businesses and organisations in Okehampton that have also given their support. 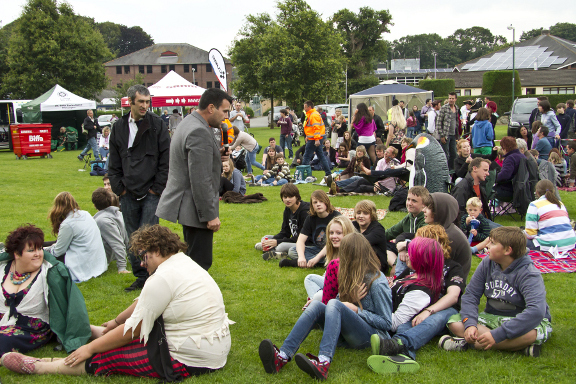 Also a huge thank you to the public, who have really got behind this years event and who have given so generously. 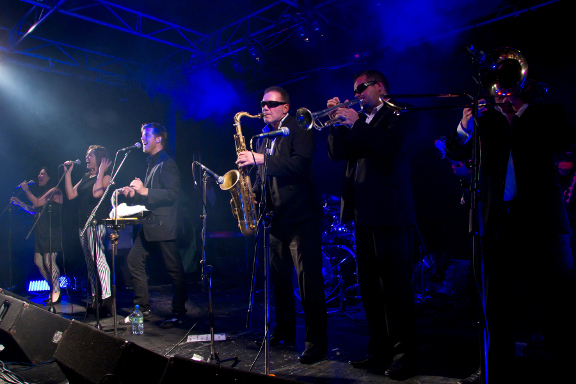 Battle of the Bands and The Party in the Park will be back in 2013. Keep in touch on Facebook page, Twitter feed and our website.